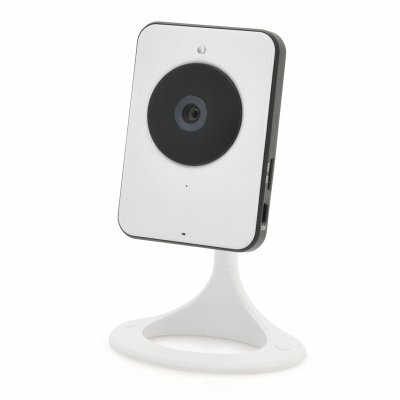 Successfully Added Cloud IP Camera "Cloudcam" - 720p Resolution, 1/4 Inch CMOS, Wi-Fi, Micro SD Card Recording, P2P, Two-Way Audio to your Shopping Cart. Cloud IP Camera with 720p Resolution, 1/4 Inch CMOS, Wi-Fi, Micro SD Card Recording and more. Record to the cloud. Have you ever whished that you could access your security camera’s feed no matter where you are? Then the “Cloudcam” IP camera could be exactly what you are looking for. This new security camera concept stores its 720p video feed directly on the cloud for easy access and allows you to log in online using your phone, tablet or PC. Coming with virtually unlimited cloud storage space, you'll be able to store all your footage on the cloud for later access. 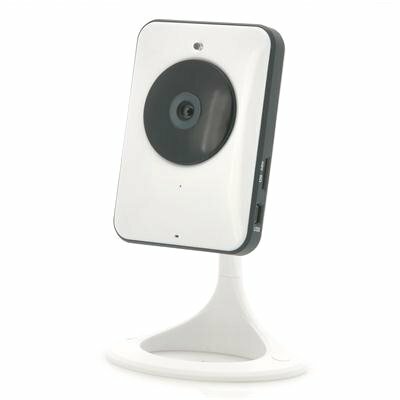 Furthermore, the "Cloudcam" can also record its footage to a micro SD card thanks to its built-in DVR function and can directly connect to another pier using P2P technology. Ultra compact, the “Cloudcam” can be set up discretely in your home or office and can easily be moved around since it only requires one cable to be hooked up, the power cable. All the data is sent directly over your Wi-Fi network to the cloud where you can access it using your iPhone, iPad, Android phone or PC. 6 IR LEDs are concealed behind the housing of the camera and provide a 10 meter night vision range after dark. Now in stock, the “Cloudcam” can be shipped out within one working day and comes with a 12 months warranty. Brought to you by the leader in wholesale IP cameras and home surveillance, Chinavasion. When in Cloud mode, please note that in order to use the microphone, the speaker on the camera has to be turned off through the App and to use the speakers, the microphone has to be turned off.